Around the Dakotas grows a thorny bush covered in little red berries. They call these tart little buggers buffalo berries. They are great for making into syrup, jam and pies. I went to the lake and harvested some recently and decided to make some syrup. It is a delicious addition on your pancakes or French toast and with the holidays approaching it can be a great gift as well. 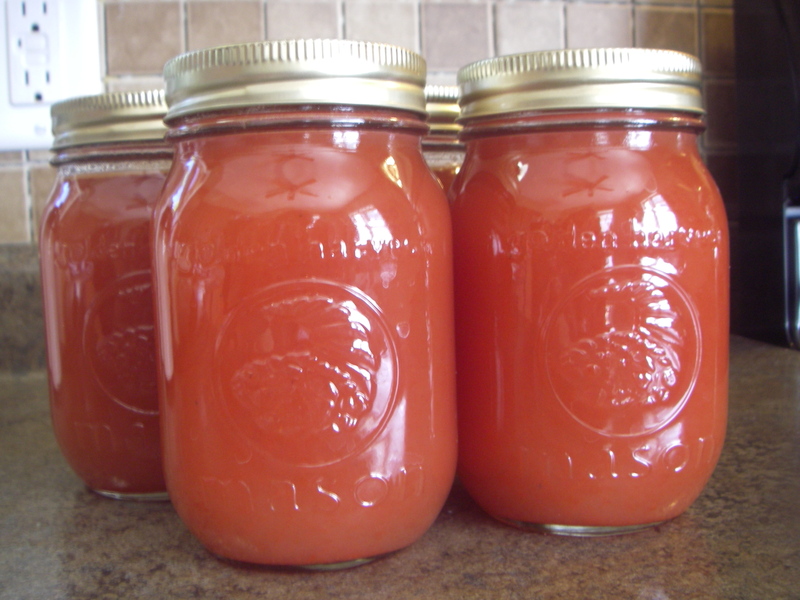 Keep reading for the recipe and directions on how to make this delicious syrup! In order to get started you must first go and harvest some buffalo berries off the bushes. The best time of the year to get them is mid September to October when they are the sweetest. If you pick them earlier in the year they tend to be too tart. Make sure you bring out quart sized bags and fill two of them minimum. To begin, wash the berries thoroughly making sure to get rid of all the leaves and most of the branch that came with them. 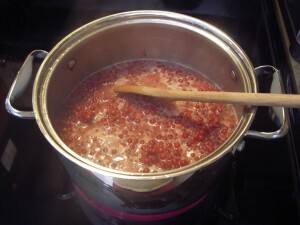 Then pour all the berries and the water into the large pot and bring to a boil. Boil for about 10 minutes, stirring occasionally to avoid burning the berries. 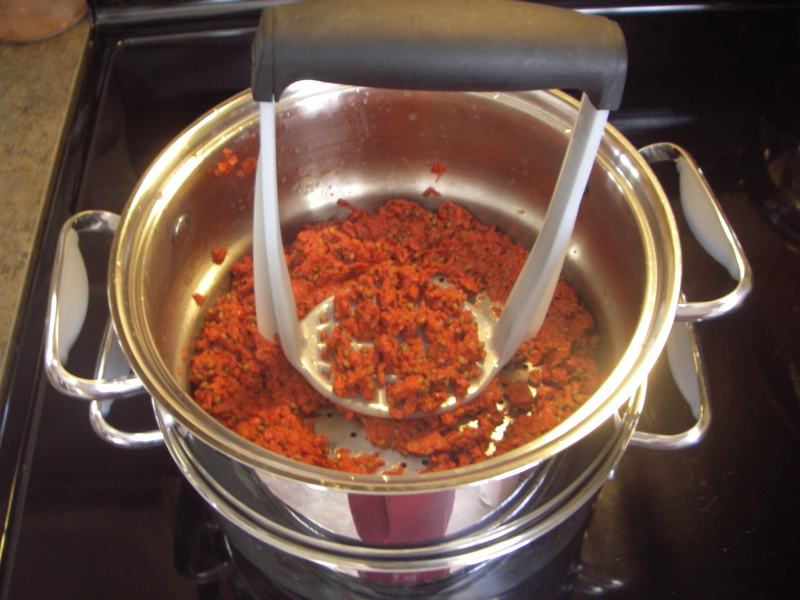 Once the berries are mushy, pour them into the strainer with another pot underneath to catch the juice and pulp. Make sure your strainer is not allowing seeds and skin through. If it is try one with smaller holes. I personally use my steamer pot because the holes are small enough to not let the seeds through. To get all the pulp and juices through use your potato masher to mash the berries into the holes. This will get as much as you can out of the berries. 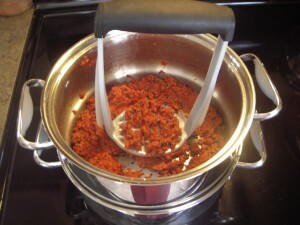 Then throw away the seeds and skins and keep the juice and pulp. Fill your sink with scalding hot water and place the jars and disk part of the lids inside. This is to ensure the glass wonâ€™t break when you add the boiling juices later. 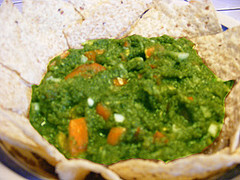 Measure out 6 cups of the pulp and juices you just squeezed out of the berries and put them in your large pot. Bring to a rapid boil stirring occasionally. Then add the 6 cups of sugar and boil for 5 to 6 minutes. While you are adding the sugar you must stir continuously or else it can burn on the bottom. 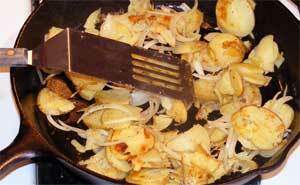 Once you are finished boiling for 5 to 6 minutes, remove the pot from the burner and set aside. Then take your jars out of the hot water in the sink and make sure all the water is out of them. Carefully pick up the pot of juices and sugar mixture and pour evenly into all four jars. Finally you put wipe off the rims of the glass jars to ensure a clean seal and place the lids on top. Set the jars aside in an area with consistent temperature. You will hear the lids pop as they cool which creates a seal. Then once cooled you can tie pretty ribbon on the jars or decorate with cloth and string to give away as gifts. There is a chance that the syrup could end up as jam if you did not add enough water or used too many berries due to the natural gelling pectin in the buffalo berries. Either way you can enjoy the syrup or jam on toast or pancakes. Good luck and enjoy! I’m very happy to find that someone has an interest in this fruit. I am seeking resources to order buffalo berry plants. Thus far I’ve found only one seed company with limited supply. Do you know any supplier(s)? Thank you for this recipe – I live in Buffalo, Wyoming and these tart berries grow around here so I can’t wait to try it! Someone else loves these berries! Yahoo! you can buy Buffalo Berry seedlings in Canada for a reasonable price. Try the Alberta Shelterbelt program or the PFRA in Saskatchewan. Very few people eat them, but they are actually a superfruit that hasn’t been discovered yet. I have 3 bushes started now in my front yard. I’m anxious to see some actual fruit, perhaps this fall? I ordered one more bush this spring for good measure. If you are going to try and grow these bushes you will need to plant at least three because they are directions plants. Meaning there is a male and a female plant. In my experience growing them the female grows faster than the male plant.